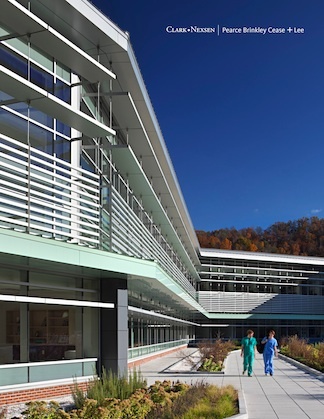 WCU Health & Human Sciences Building by Pearce Brinkley Cease + Lee. Photo by Mark Herboth. March 28, 2013 – Clark Nexsen, PC, headquartered in Norfolk, Virginia, is pleased to announce that the architecture firm Pearce Brinkley Cease + Lee (PBC+L) of Raleigh and Asheville, NC, has officially joined Clark Nexsen. As a result of this merger, Clark Nexsen will be comprised of a 550-plus, multi-discipline staff including architects, engineers (civil, structural, mechanical, electrical, and fire protection), interior designers, landscape architects, planners, and other support personnel. The combined staff represents decades of expertise in educational, Department of Defense, government, corporate, cultural, industrial, recreational, commercial, healthcare, K-12, and environmentally sustainable design and engineering.